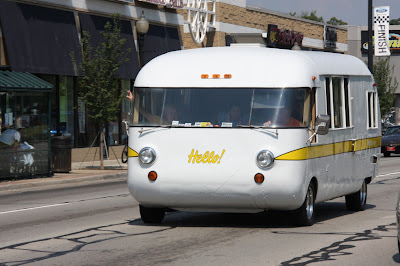 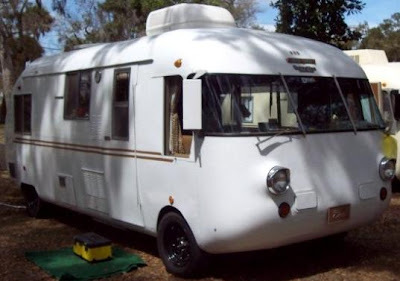 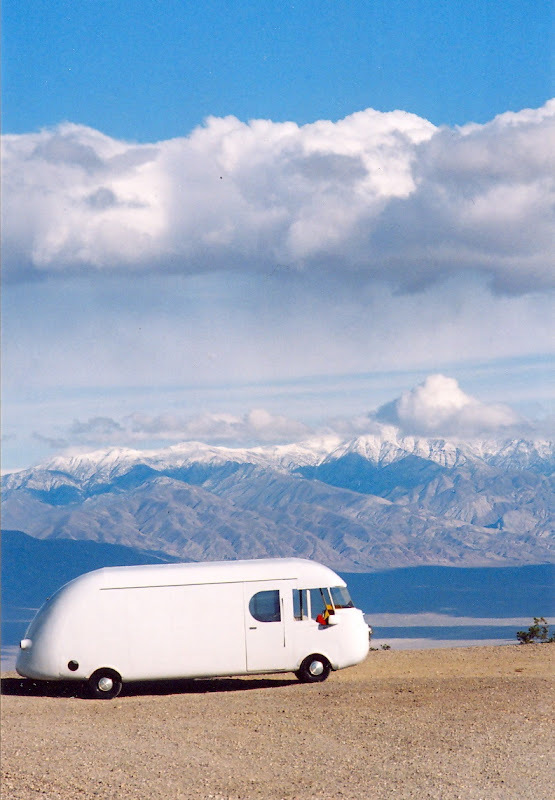 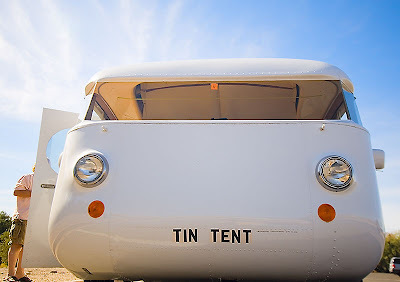 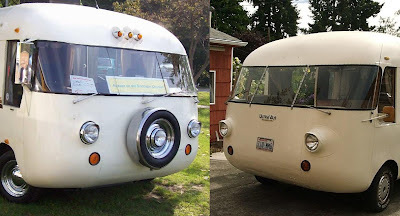 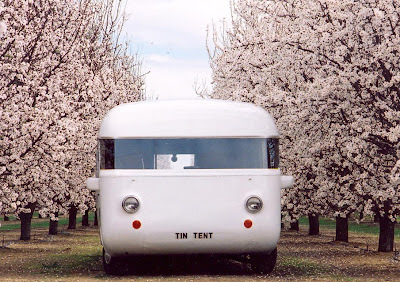 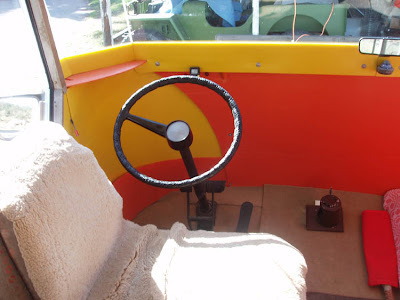 The prototype Ultra Van (#101) was built by Dave Peterson in a rented garage in Alameda California (1961) using 1960 Corvair headlights with integrated turn signals. 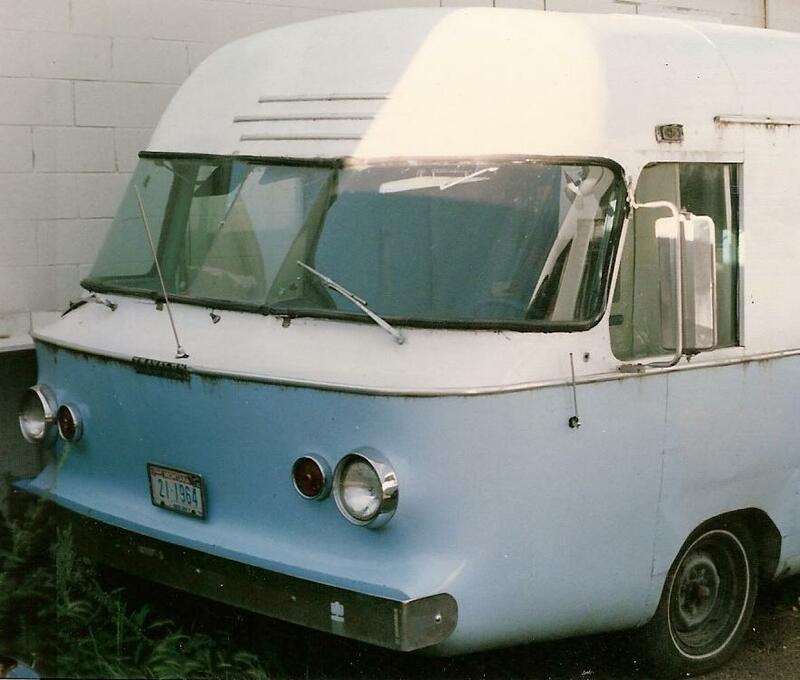 24 more early Ultra Vans were built in Oakland California (1962-1966, although the last four of them were eventually transferred to the Hutchinson factory for finishing and delivery to customers). 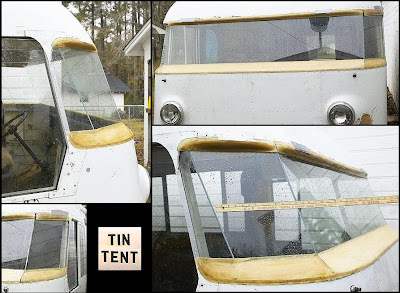 At least 19 of them used Ford Econoline van headlights, with a variety of turn signal arrangements. 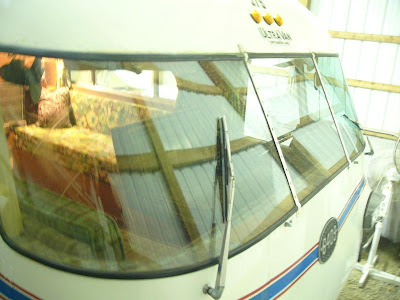 Several of the Oakland coaches were built under license by the Prescolite Lighting Corporation (1963-1964). 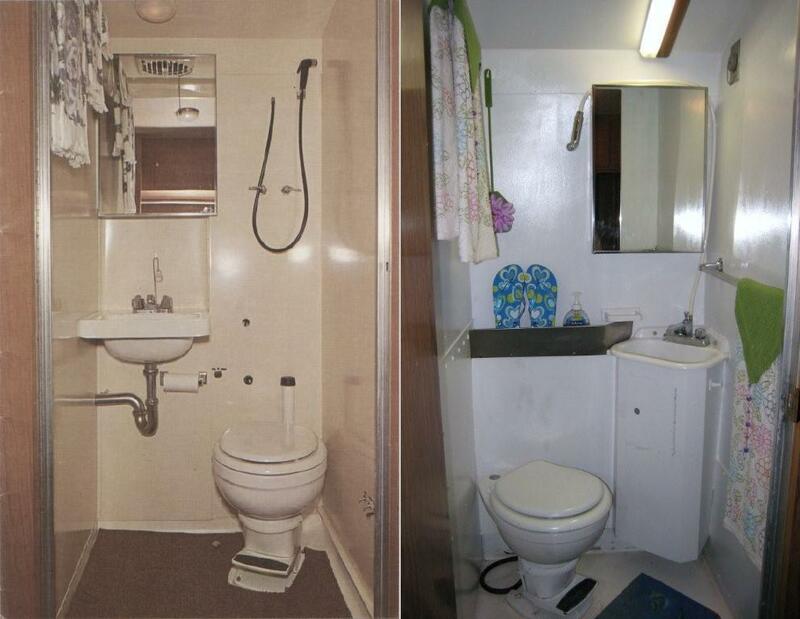 During this period, Prescolite built at least one "improved" version which they called the Travalon (#s-264105). 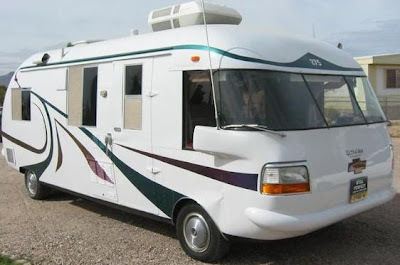 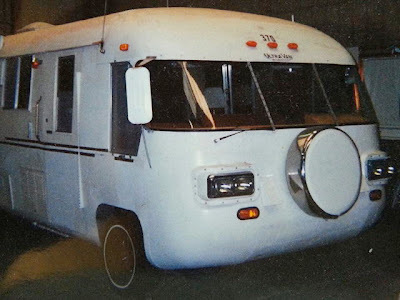 This coach had a modified body with a unique headlight and turn signal arrangement. 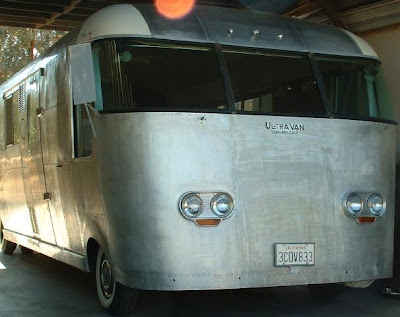 As with the Oakland coaches, the earliest of the Hutchinson UltraVans (up thru #216 at least) used a separate molded fiberglass fairing between the fender and the headlight. Coaches #222 and later had this part integrally molded into the fender. 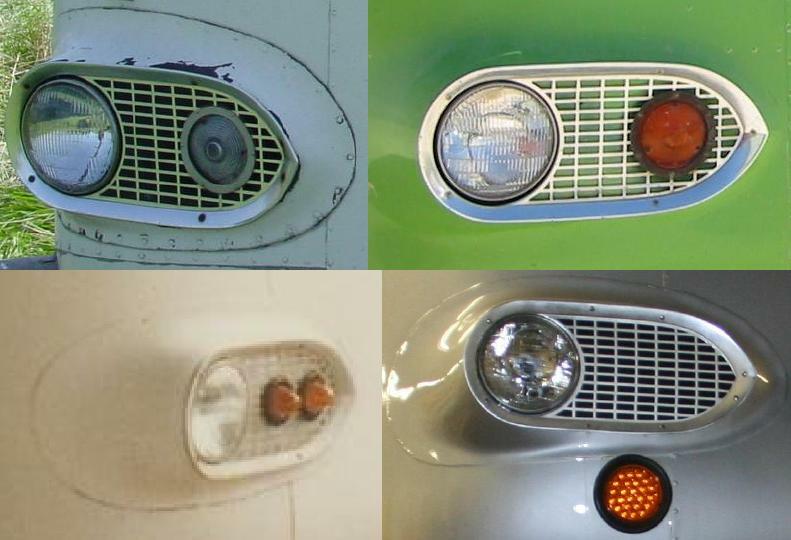 The J.C. Whitney headlights were castings made of pot metal which corrodes easily, resulting in pitting or even flaking of the chrome. 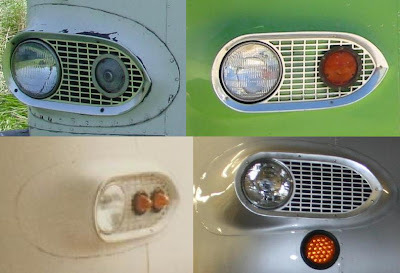 As a result many of these headlights have been painted, or replaced with aftermarket round headlights. 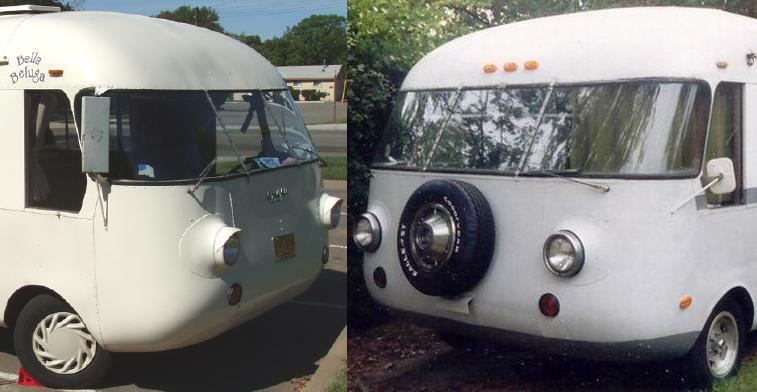 Square quad headlights were added to Ultra Van #370 by its owner. The body of Ultra Van # 275 was heavily modified so that 1996 Ford F-150 headlights could be molded into the front. 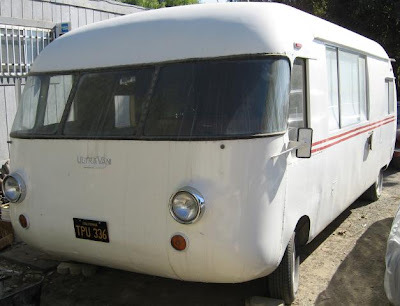 Ultra Vans thru #352 (with some exceptions) had "full length" kitchen windows, and those after #358 had "shortie" kitchen windows. 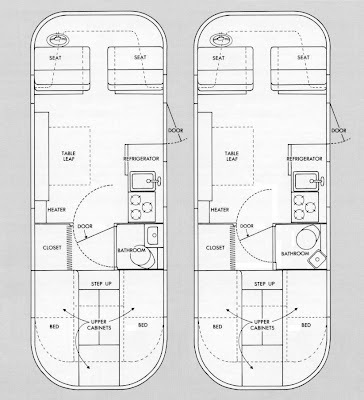 Note how the lower edge of the earlier window aligns with the door and bedroom windows, extending below the surface of the kitchen counter. 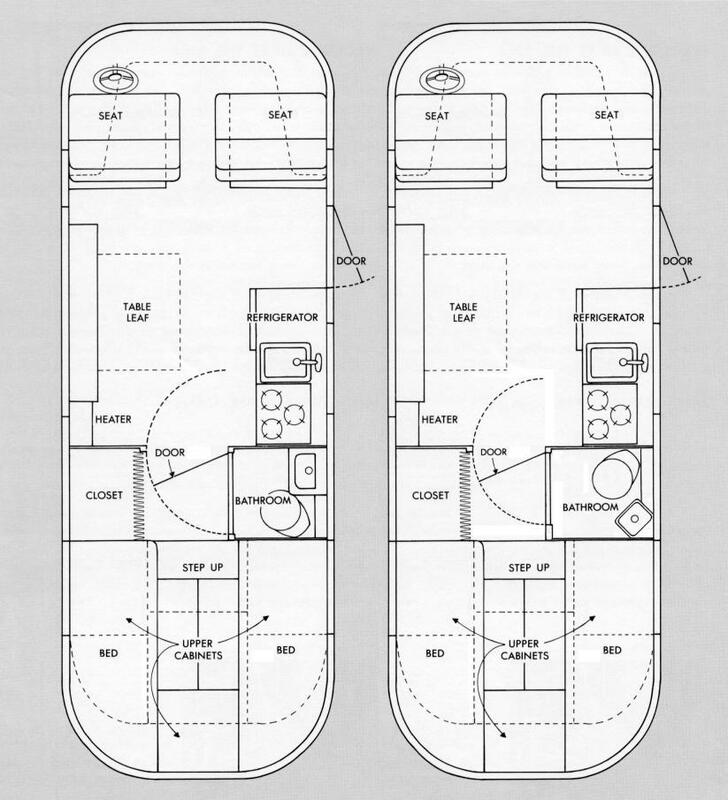 The later window is easily distinguished, providing somewhat improved privacy.